From signs to stickers to store information, Festival Foods’ associates work hard to make sure our guests with food allergies have everything they need to buy foods that are safe for them. 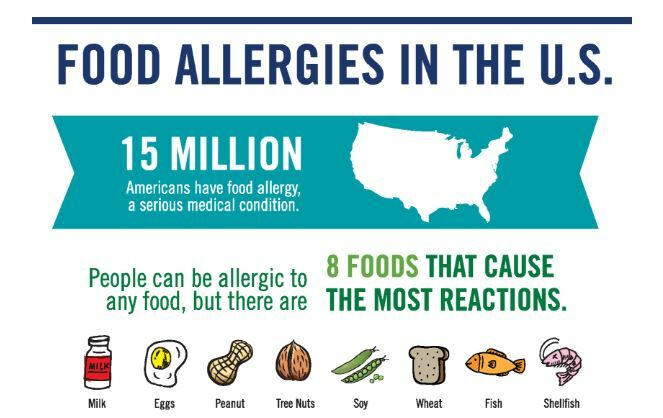 Signs: It’s important our guests know that we’re not an allergen free facility; we make thousands of products each day containing all of the eight major allergens (fish, shellfish, peanuts, tree nuts, soy, milk, eggs and wheat). Even if we produce products without allergens, such as these soy-free bakery options, we of course want our guests to know there still is a risk of cross contamination. We know how sensitive individuals with food allergies can be and that’s why we post signs in each Fresh Foods Department to let our guests know about that risk. 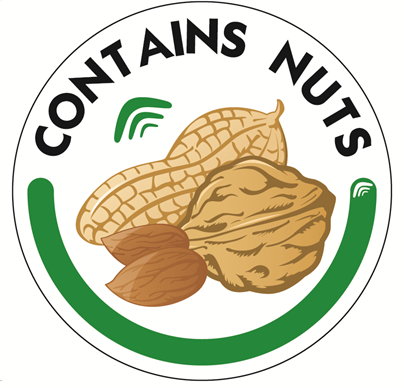 Contains Nuts Stickers: Shop our Bakery frequently? We just recently implemented a “Contains Nuts” sticker that notifies our guests which items in our self-serve cases (muffins, doughnuts and rolls) as well as our service counter have nuts baked into them. We also recommend asking a service counter associate for the ingredients and checking the label of these products as well. Gluten Sensitivity Information: Our Deli has “No Gluten Containing” items. That means they’re made with a combination of ingredients that are certified gluten free and some that do not contain any naturally occurring gluten. We recommend guests ask a service counter associate for the ingredients and checking the label of these products as well. Gluten Free Living & Shopping: Our Mealtime Mentors are committed to helping our guests that need to eat gluten free. 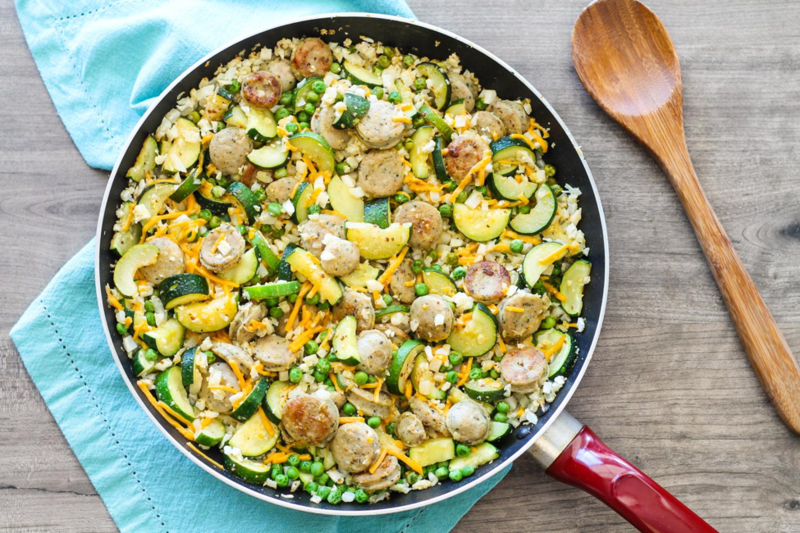 Whether you’re newly diagnosed and need help starting a gluten free diet, or you’re seasoned in eating gluten free and in need of new recipe inspirations, we’ve got you covered! No Soy Containing & No Gluten Containing Lists: Are you soy or gluten sensitive? In our Meat and Deli departments, we have a “No Gluten Containing” list that notes which of our products have no naturally occurring gluten. In the Bakery, we have a “No Soy Containing” list that details our products with no naturally occurring soy. (Please note: soybean oil is still present). Check out the top of our service counters for these super helpful documents.